Image by Oleg Volk. Used with permission. We defend your right to defend yourself. I’ve put forward that GSL mission statement on every stage and every platform during my tenure as president. We have remained true to that mission statement in years past, and will continue to do the same now that my fellow firearms instructor Ryan Sweeney has succeeded me as GSL’s leader. In the Democrat-run cesspool of crime known as Chicago, politicians like Rahm Emanuel and J.B. Pritzker tell people that police will protect them. In fact, Illinois’ Democrat leaders, through the schools and their friends in media, condition residents in the fiction that a police officer will always be there to protect them. Of course, many of these same people have armed security details to protect them. These pols and their fellow snowflakes assert that only the police should have the right to use deadly force or possess guns. While in the next breath, they argue that “criminal lives matter” and second-guess every police use of force incident to the nth degree. In fact, some of the most radical leftists argue for disarming the police too! Even in the best of times, depending on someone other than yourself for personal protection remains nothing but a risky gamble. The average 9-1-1 response time nationwide stands at eleven minutes. If someone is breaking into your house, how much can happen in eleven minutes? In reality, even in the best of times, each of us serves as our own first responder. But what happens when your state or municipality has fallen on hard economic times? And police and fire protection becomes chronically underfunded? You don’t have to look any further than the sad tale of Detroit for your answer. When the City of Detroit began to experience a population loss from a lack of economic opportunities and jobs, the corrupt Democrat-led government refused to reduce spending. Instead, they doubled down with higher and higher taxes. With ever-growing taxes, the productive citizens fled even faster. From 2000 to 2013, Detroit lost a quarter of its population. Tax receipts crashed as producers drove away in their moving vans. Yet the big spending continued right up until the city declared bankruptcy in 2013. The city slashed police and fire fighters. With a third fewer cops, response times jumped to 58 minutes for critical calls. The police union published a general notice that the “war-like” Detroit had become unsafe for visitors. Of course, politicians and the media attacked the police union for pointing out the obvious: people in Detroit were on their own. Illinois residents continue to witness a similar cascading economic decline as Detroit. Our state government refuses to cut spending, but instead, grows entitlement spending along with increasing taxes and fees. And just like Detroit, Illinois’s tax-paying residents continue to vote with their feet, leaving our state in record numbers. And businesses continue to do the same to enjoy fewer taxes and fees along with a more favorable business climate. Illinois has well over $15 billion dollars of unpaid bills and over $120 billion in unfunded pension obligations. Our bonds have dropped to one notch above a junk rating. Furthermore, while state welfare / social service spending balloons, spending for essential services faces severe cuts. Many police and sheriff agencies have had to reduce staff. At the Peoria GSL in October, the Peoria County Sheriff admitted that his agency response times are increasing. Compared to years ago, he has half or fewer the number of deputies on the roads because of budget cuts. Truth be told, some counties no longer can afford to have any deputies on duty at certain times. More than ever, public safety from criminals is going to be the responsibility of each individual citizen. Remember this when in upcoming months the Pritzker / Madigan team tries to reduce, restrict and regulate your means to protect yourself. Write the necessary letters. Make the necessary calls. File the necessary witness slips. 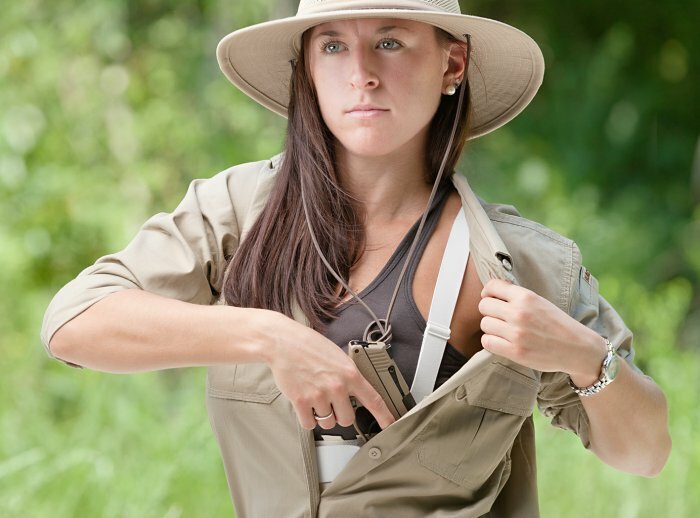 Get your concealed carry license and get the training necessary to hone your skills at self protection. The life you save by asserting your rights may be your own. BAD TIMES ARE COMING. PREPARE TO DEFEND YOURSELF. This entry was posted on January 16, 2019 at 8:04 am and is filed under GunNews. You can follow any responses to this entry through the RSS 2.0 feed. 3 Responses to Prepare to Defend Yourself & Assert Your Rights: The life you save may be your own. They will move away, but they won't stop voting for DemocRATS. It's kind of like a cancer with no cure. Yep, The liberals vote and act to ruin and tax everything into oblivion then when they can't stand or afford to live with the stink of the **** they took all over everything they move to somewhere else and start the process over again. Police often say they're not provided with enough training unless they spend their own cash. Pritzker will sink Illinois in more ways than one. "Research done of felons said that they (felons) are more fearful of Armed Citizens than they are of police officers", Detroit Police Chief James Craig. Criminals interviewed in prison for survey said they feared gun owners, particularly during burglaries. In fact, imprisoned thugs stated that they'd be more likely to committ home burglary more often knowing that it would be unlikely the home owner was armed. The 2d Amendment is deterrence. Even the Soviet soldier during the cold war feared war on U.S. soil due to their perception that most Americans were armed. It's the same for the thug.